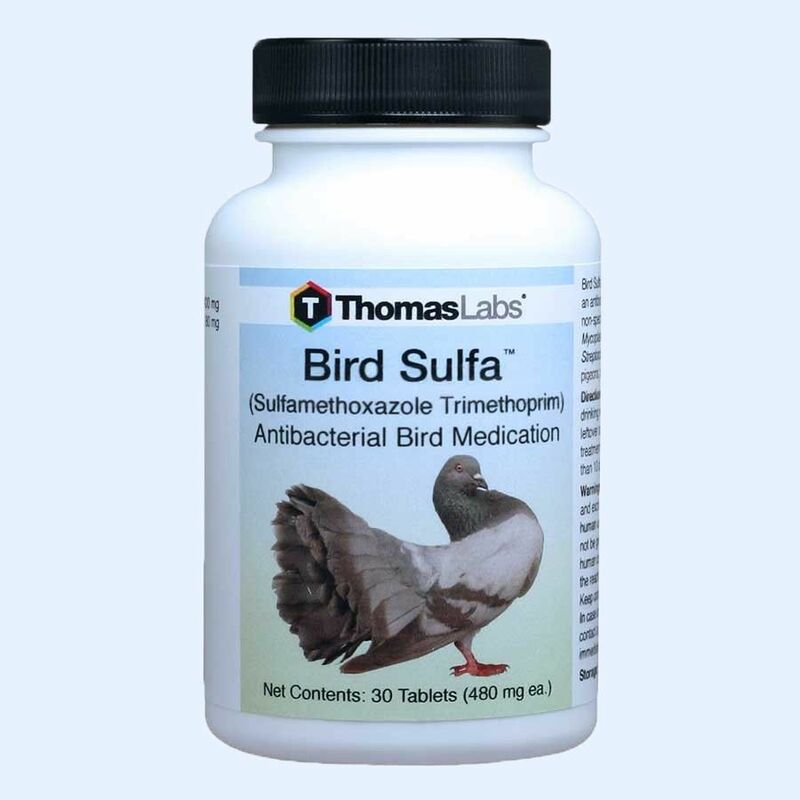 Bird Sulfa Sulfamethoxazole is for systemic and local infections in pet birds exotic gamebirds and racing pigeons. One tablet treats 8 ounces of drinking water. Bird Sulfa Sulfamethoxazole 400 mg, Trimethoprim 80 mg is for systemic and local infections in pet birds exotic gamebirds and racing pigeons. Directions: Add the contents of 1 tablet, to 8 oz. of drinking water, make a fresh solution daily. Continue treatment for 7-10 days. Not to be given to birds that are intended for human consumption. Caution: Keep out of reach of children. Bird Antibiotics are not intended for human consumption.